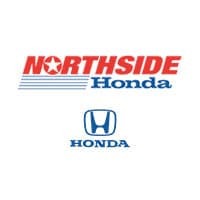 The state-of-the-art facility at Northside Honda Auto Body Collision Repair is one of the largest in the country with 6 paint booths, four frame machines and over 51,000 square feet of work space. But it’s not just the building that makes the difference; it’s the people who work here. Our collision repair technicians are Honda ProFirst certified as well as I-CAR certified, and they’re experienced repairing all makes and models. In fact, our average staff member has 21 years of experience. Additionally, for your convenience, we also work with all insurance companies. To ensure that Northside Honda’s body shop keeps up with the latest Honda technology, our body shop team must complete Honda-specific training through I-CAR, and is required to take additional on-going training as it becomes available. We have unprecedented access to all service and repair information, including mechanical and collision repair, for all years and models of Honda automobiles – information needed to make a safe and complete repair.